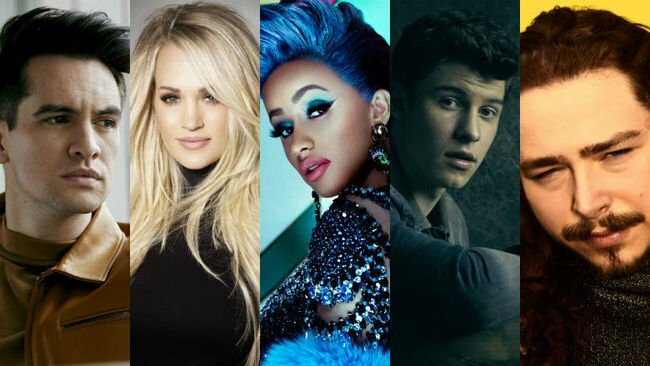 iHEARTMEDIA and FOX BROADCASTING COMPANY (FOX) have announced the nominees for the 2019 iHEARTRADIO MUSIC AWARDS airing THURSDAY, MARCH 14th (8-10p ET live/PT tape-delayed) on FOX, live from MICROSOFT THEATER in LOS ANGELES. The event also will be broadcast on iHEARTMEDIA radio stations nationwide and iHEARTRADIO. For a full list of categories visit iHeartRadio.com/awards. Country Music News Blog participates in advertising programs that help fund the operation of this site. For more information please visit our privacy statement. This entry was posted in Carrie Underwood, Press Releases by Shauna "WhiskeyChick" Castorena. Bookmark the permalink.